Black Static Magazine is your vehicle to the world of horror. Buy a single copy or subscription to Black Static magazine. It is the new name for a magazine called The Third Alternative which originally focused on science fiction but has now changed direction to offer fiction writings in the horror genre. The new title Black Static refers to the noise that ghost hunters sometimes hear in electronic voice phenomenon (EVP) equipment. The revised magazine has a new look too with a glossy cover and more pages. 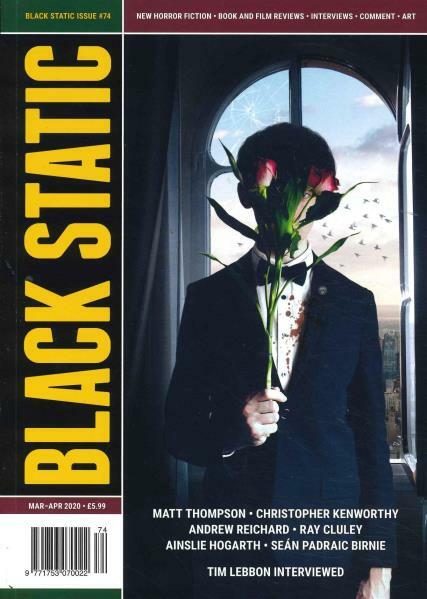 Black Static Magazine is published bimonthly. The fiction offered in Black Static Magazine is creative fiction on the dark side. There is much to shock, disturb and scare while remaining entertaining. It has been called one of the elite horror magazines. The magazine attracts the best in the world of horror fiction including Joel Lane, Matthew Holness, Nina Allen, Nicholas Royle, Stephen Volk, Scott Nicholson and Simon Clark.